Julia Knight's stunning collection of sand-cast aluminum serveware and tabletop is a striking line of gifts for the home. 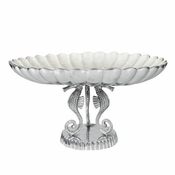 Handcrafted with luxurious swirl enameling, crushed mother of pearl and fabulous colors - Julia's serveware creates a vivid presentation on the dining table and in the home. Many of Julia Knight's bowls, trays, and gifts are themed with a variety of patterns and motifs. Her collection is easily blended or matched to create a designer tabletop that guests and family will enjoy coming back to again and again. 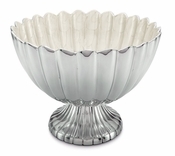 Make dining an experience meant to be visually enticing with Julia Knight's aluminum serveware. Julia has created an artful collection to help every entertainer impress. With pieces that are both classical and romantic and can fit in at the dining room table or on the patio, we’re sure you can find the perfect Julia Knight design for every need.